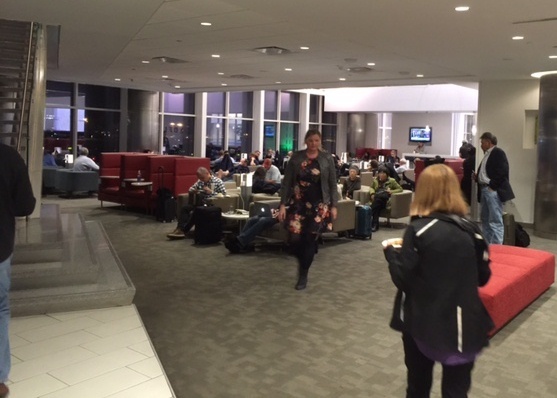 I’m sitting in the Delta lounge in Atlanta’s International Concourse F, awaiting a night flight to Dubai. Laptop opens, the words begin to flow…..we’ll see where this goes. Buckle your seat belts, let’s go for a ride. Takeoff Minus 1 month: About a month ago, I finalized arrangements for a meeting with a major business associate who is based in Dubai. A meeting was agreed, and I went to our online travel site to book my flights. Hotels were arranged, ground transportation was lined up, flights were booked. Calendar was marked to block the right time. Thoughts begin on my strategy for handling the meeting and associated issues. For Retirement: The earlier you begin your preparation, the easier the trip. 11,171 Days ago (according to a cool “how long ago“ site I found), I started planning my retirement trip. The date was July 5, 1985, and I was starting my first “real job” after college. As part of the orientation, I set up my 401(k) and started automatic contributions to my retirement account. Now, as I get closer to departure, I am thankful for that preparation. It will make the trip more enjoyable than had I not taken advantage of the compounding effect of early savings. Takeoff Minus 2 Days: Yesterday, I completed my expense account for the business expenses I incurred via American Express over the previous month. 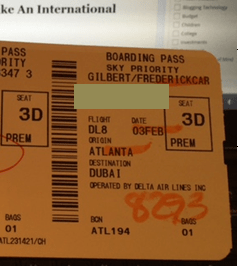 One of the line items I completed was the cost of the ticket to Dubai. 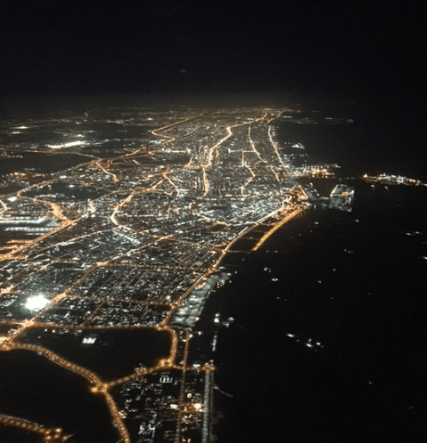 It wasn’t cheap – international travel costs money. For Retirement: It costs money. Real money. Lots of Money. Years of Money. Get my point? Plan for it. Takeoff Minus 1 Day: For this particular trip, I was forced to procrastinate a bit on my preparation. We’ve been very busy getting our house ready for its listing on the market next week, and my wife and I have been occupied with the unending “To Do” lists required to maximize the value you can receive for a home (note to self: future post). The photographer is coming while I’m away, so we HAD to get the house “photo ready” before my departure. Regardless, I couldn’t miss this flight, and I had to squeeze the preparation into the available time. Before I left my office yesterday, I forwarded my office phone to my cell phone, set up my “out of office” notification on my e-mail, and cleared as many of my pending items as possible. I focused on the highest priority items first, and inevitably left a few things “undone” that I wished I’d been able to clear. I made sure I was fully prepared for the meetings associated with the trip, and entirely up to date with all the issues we had in our global dealings with their company. My “meeting strategy” finalized, I made the drive home. This morning, I finally pulled out my suitcase and went through my well rehearsed packing routine. The exercise is well worn, having been well developed over a 30+ year career of travel. Takeoff Minus 3 Hours: suitcase is packed and I’m ready to go. For Retirement: Several years ago, I entered “The Red Zone” (5 years before retirement). The intensity in retirement planning increased significantly. I’d been tracking our Net Worth for decades, but had never put together what kind of Cash Flow would be required to fund our retirement. To develop an idea of what our real spending was, I tracked every dime we spent for a year. I built a cash flow model to compare the income we could generate from investments, pension & Social Security to the income we needed in retirement. We determined a potential retirement date. We built a downsizing strategy, bought a cabin in the mountains, and started renting it to generate some income in the interim. I reviewed our plans with a Financial Advisor, just to make sure I wasn’t missing anything. As mentioned, we are putting our house on the market next week. Yes, Preparation Intensifies As You Near The Departure Date! I’ve been fortunate in having visited several dozen countries in my career. For each country visited, there’s one thing they have in common; until you go, you’ve never seen the destination. You may have thought about it, you may have stereotypes about it, you may have even read about it, but you’ve never EXPERIENCED it. One of the things I love about international travel is the last approach into the airport, when you look out the window and realize you’re about to embark into a new and unknown land. For Retirement: Every one of us, without exception, enter retirement with one thing in common. Until you go, you’ve never seen the destination. You may have thought about it, you may have stereotypes about it, you may have even read about it, but you’ve never EXPERIENCED it. One of the things I love about planning for retirement is to think of the possibilities, to think of items in our bucket list, to imagine a life we’ve never had the freedom to live when constrained by the realities of having to earn an income. Don’t let your Retirement Be Depressing – it’s the trip of a lifetime! Several years ago I took my first trip to Dubai. It’s a fascinating destination, unlike any other city I’ve visited in the world. I’m not alone in my travel to Dubai. According to Wikipedia, it’s the worlds busiest airport in terms of international travelers. 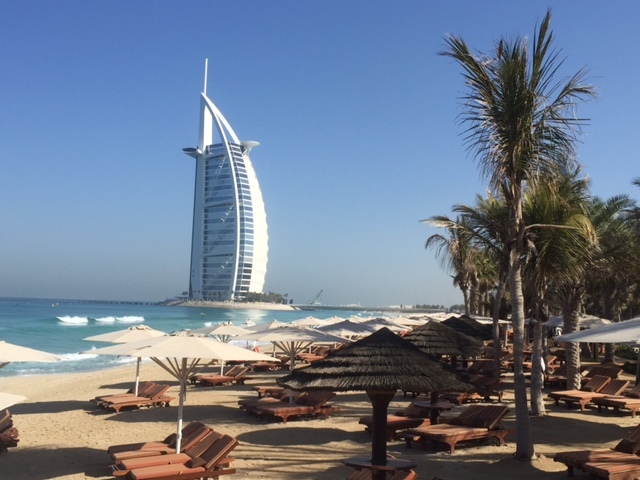 Burj Al Arab – one of Dubai’s notorious sites, from the beach at my hotel. Anywhere you travel, anywhere in the world, it’s a fact that many others have gone before. Learn from those who have gone ahead of you. Visit the best sites. Eat at the best restaurants. On my last trip to Dubai, I took a scuba diving lesson on the advice of a friend who had been before. It’s one of my favorite “international travel” memories, and I’ll cherish it always. For Retirement: Take the opportunity to Learn from others who have gone before. There are millions of people who have experienced retirement. Millions who can teach. Millions who can mentor. Reach out and learn from those who have gone before you. Take the advice of a friend who has been before. So, there you have it. My thoughts in 90 minutes. I could hit “publish“, but I think I’ll wait. Unlike retirement, where I can’t leave all of you “on hold” for a few years until I experience it, this is a blog. It can wait a few days, hopefully capture a few pictures I can embed into this post. On Friday, I’m taking a few hours out of my schedule to take a “Dune Safari“. Long ago, a mentor of mine gave me strong encouragement to “stop and smell the roses” when you travel. “Life goes too fast“, he said, “make sure you take advantage of the opportunities you’re given“. So…..in 36 hours, I’ll be in the desert. 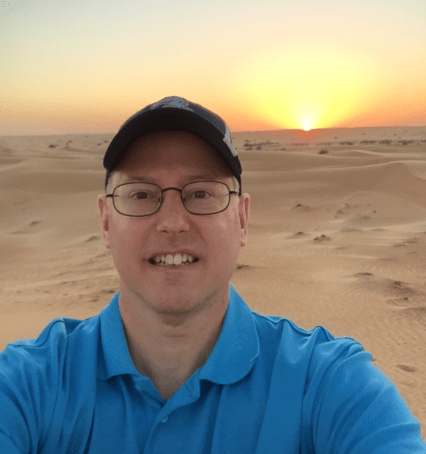 After a few hours crashing the dunes (in a Jeep, I assume), we’ll park in the middle of nowhere to watch the sunset, then head to an Arabian desert camp for a dinner. As I type this, I’m imagining the sunset. In the middle of a desert. Surrounded by dunes. I’ve always loved sunsets, but have never seen one from the middle of a legitimate desert. I truly hope this week will change that. I’m planning on taking a picture “out there“, and I’ll paste it to the bottom of this post. I’ll close this with that picture, not yet taken as I type these words. Just like retirement – not yet taken as I type these words, but over the horizon, and soon to be lived.